The number of hepatitis A cases in California just keeps growing. Some 633 cases have been detected as of Oct. 27, with 416 hospitalizations and 21 deaths linked to the outbreak, according to the California Department of Public Health. 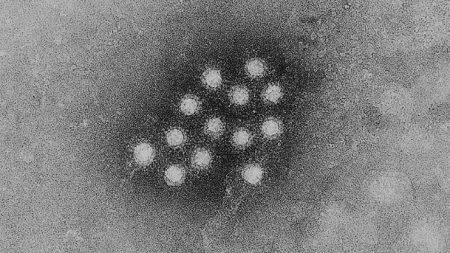 It is the largest person-to-person hepatitis A outbreak – not stemming from a common source or contaminated food – since 1996, and has even led Gov. Jerry Brown to declare a state of emergency. But all is not lost, says Dr. Jeffrey Klausner, professor of medicine in the division of infectious diseases at the David Geffen School of Medicine at UCLA and of public health at the UCLA Fielding School of Public Health. “There are things that the county or state can do, but also things that you can do to protect yourself and the community at large,” Klausner says. 2. Avoid potentially contaminated food or water – that is, food and water from questionable sources. 3. When sexually active, be sure to wash up before and after. 4. Use restrooms (not outdoor areas) and wash your hands after use. 1. Provide clean public restrooms in areas of high density. 2. Add hepatitis A vaccination to the list of vaccines required for school entry. 3. Educate the community and providers about the safety and efficacy of hepatitis A vaccination. 4. Provide free hepatitis A vaccination through community pharmacies. 5. Ensure clean water and sanitation services for group encampments, homeless congregation areas and shelters. Klausner is a frequent advisor to the federal Centers for Disease Control and Prevention and the World Health Organization. From 1998-2009, Klausner was a deputy health officer and director of sexually transmitted disease prevention and control services at the San Francisco Department of Public Health; from 2009-2011, he was branch chief for HIV and TB at the Centers for Disease Control, South Africa. Whether or not the county or state will ultimately follow Klausner’s good advice remains to be seen. But we can all take responsibility for ourselves.